I went for a walk around the Novato Marsh last week with my good friend David. It was a beautiful day, the sun was shining, and there were birds all around. There were northern shovelers, red tailed hawks in the air, and an egret perched on a slim strip of grass above the water. With the water reflecting the beautiful clouds above, the northern shoveler navigates his way to his friends. 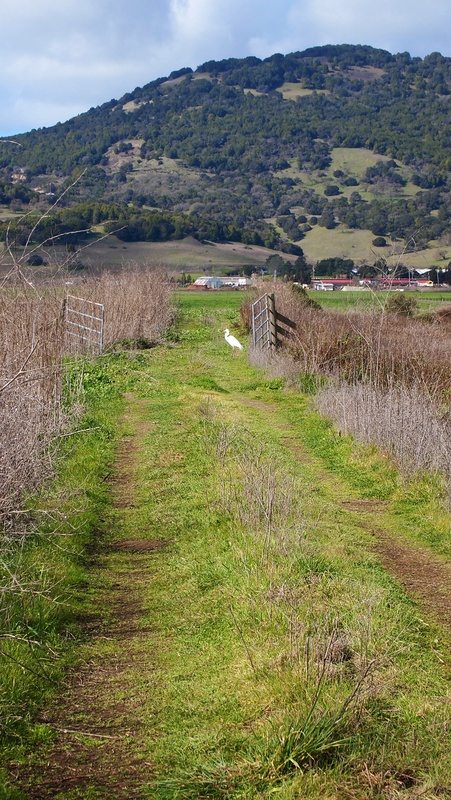 An egret enjoys a walk in the grass at Novato Marsh. This entry was posted in Environment and tagged Birds, Egret, Northern Shoveler, Novato Marsh, Photography, wetlands. Bookmark the permalink. I’m such a sucker for beautiful birds. Thanks, Meg.